Funny thing is the other Avengers poster I was working on was to be the first! But then while I was explaining my friend Sheetal (yes this same one- I told you she was well aware for my fanaticism for all things X-Men & CBM lol!) 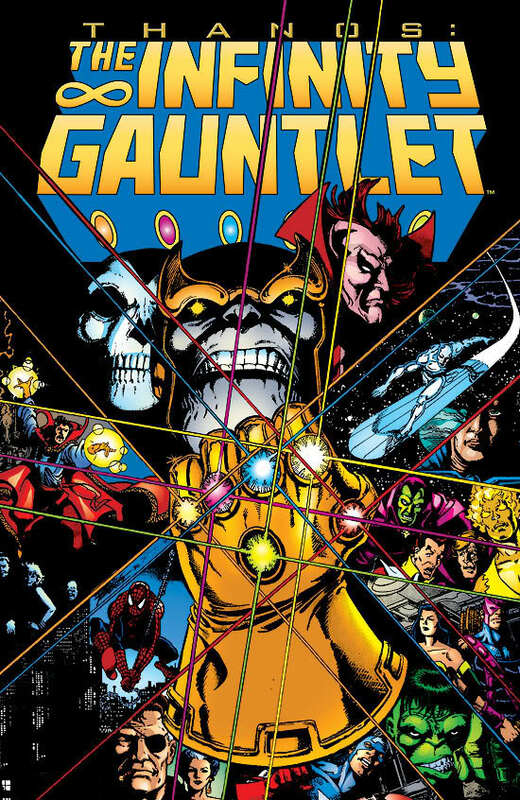 about the Avengers & the foes they've fought (I mainly was rambling on about the Skrulls & Thanos cos they are two villains rumored to appear in the movie), I happened to chance upon this cool Infinity Gauntlet comic book cover (I hadn't seen this EPIC cover before then) that features all the characters & Thanos with the Infinity Gauntlet! Immediately I got inspired & decided I was going to start work on a poster that would emulate this rad cover (well, at least in a way a "movie" poster would). ^The comic book cover that started it all! The awesome Infinity Gauntlet is an image clicked at the SDCC 2010 by a photographer named M. V. Partsch. 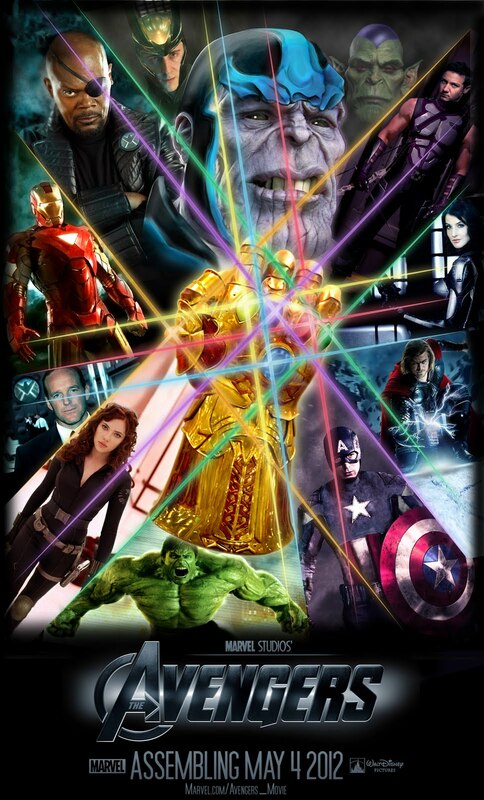 I got the epic Thanos image from Rodrigue Pralier's blog! An amazing 3D model of Thanos done by Rodrigue (who works as Principal Artist at Bioware Montreal on Mass Effect 3)! Can you guys guess which movie's poster I used to create Hawkeye's costume? And what about for the Maria Hill? Lastly from which movie did I steal a still pic for the background to the Agent Coulson image? That poster is nice! I like how you laid out the inifinity gaunlet. Who did you use for the main bad guy?